This black and white photograph shows the Atchison, Topeka & Santa Fe Railway Company's Fred Harvey House in Belen, New Mexico. 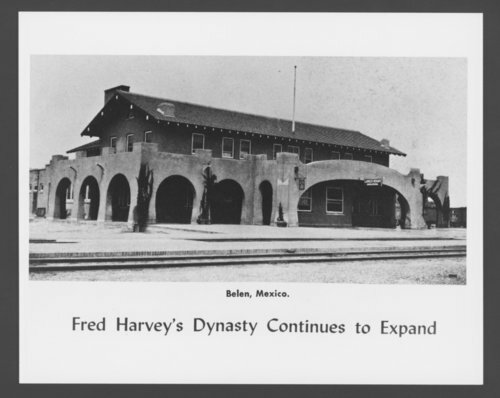 The facility designed by Myron H. Church was the 86th restaurant operated by the Fred Harvey Company. Today, it operates as a museum promoting the history of the ATSF railroad and the Harvey Company.